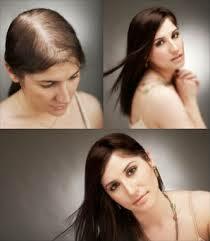 Thinning Hair can be treated at Tango Hair Brisbane. Do you want 5 easy hair loss treatment tips for thicker hair? At Tango Hair Loss Clinic in Brisbane we can offer you seven natural thinning hair solutions, to help you regain your confidence through thicker and healthier hair. To discuss which solution best suits your needs call us on (07) 3366 1388 to arrange your FREE consultation in one of our private rooms. The information below will give you a better understanding of tips to gaining thicker hair. There is no greater upsetting event than when you first notice you need hair loss treatment and … you-need-it-FAST! Because your hair is a very important part of how you present yourself to the world, anything that threatens it causes a huge blow to your self-confidence. However, you may not need to seek professional treatment options as there are a number of tips on how to get thicker hair which can be easily completed at home. While a family history of hair loss can be an issue (and should be discussed professionally), there are other contributing hair loss factors and these are the ones we will take a look at. To start your home hair loss treatment programme on how to get thicker hair, the first consideration should be your diet. A healthy balanced diet is essential for a head full of thick healthy hair. 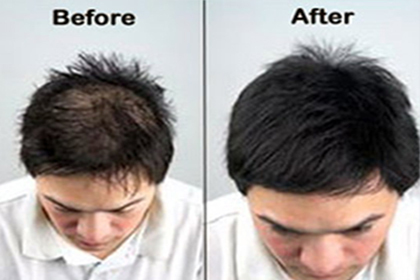 Therefore, you may only need to adjust your diet as an effective hair loss treatment. Making sure that your diet contains plenty of fresh fruits and vegetables will provide the essential vitamins, minerals and antioxidants to get you positive results. You will also need to ensure that you get the essential amino acids in protein from foods like nuts, seeds, eggs or dairy products. Adding omega 3 oils into your diet goes a long way to promoting healthy hair growth. These can be sourced from oily fish, flaxseeds and chia seeds or by taking a complete multi-vitamin supplement. Thinning hair can often be the result of poor hair care regime, and in many cases too much care can be a bad thing. Many people assume that frequently washing your hair is how to get thicker hair. This is not a recommended hair loss treatment solution. Shampoo and other hair care products often contain chemicals such as sulphates which are there to remove oil and dirt. This means that using shampoo too often can strip the moisture from your hair and cause damage to the hair follicles. A more effective hair loss treatment is to reduce your hair washing habits to only twice a week. Ideally, you should consider switching to a more natural sulphate free shampoo and then follow up by conditioning your hair once a week. Every day your hair can be put through a great deal of stress making it vulnerable to damage. To counter this you should avoid combing your hair when it is wet as this can actually cause a great deal of damage. You should allow your hair to dry naturally and use a wide tooth comb to detangle. Also, avoid rubbing your hair vigorously after washing as this can cause the cuticles to open increasing the risk of frizzing and breakage. Ideally, you should allow your hair to dry naturally. Avoiding the use of too much heat in styling tools such as straighteners, hair dryers, ceramic irons and curlers will go a long way to help make your hair loss treatment successful. Air pollution and sun exposure can also cause a great deal of damage to your hair. While it may seem impractical to try and clean up your immediate environment (but it doesn’t hurt to consider it), you can minimise the potential damage to your hair by covering up with a scarf or hat when you are outdoors. This will prevent your scalp from being sunburnt and reduce the risk of pollution being absorbed into your hair. While some stress is likely in everyday life, prolonged and chronic stress can trigger hormone imbalance in the body and this is a major contributor to thinning hair. While activities such as yoga, massage or other stress busting exercises may not appear to be a direct hair loss treatment, they can help to manage and reduce your stress. This will not only help to reduce the risk of hair thinning, but will also help you to feel calmer and happier. If you are having difficulties with thinning hair and are struggling with how to get it thicker, you may need to consider seeking professional advice. There are a number of treatments including light therapy, growth products and styling techniques, which can help to thicken the hair and encourage further growth. Here at the Tango Hair Loss Clinic, we understand just how deeply thinning hair can affect your self-confidence. And perhaps your hair loss problem may really need professional help. If after trying these tips you still find thicker hair is not coming your way, then we have another solution for you. Call us on (07) 33 661388 and have a FREE consultation in one of our private rooms. That way you can experience professional advice and a suggested solution best suited to your particular circumstances. And, best of all, let’s see how the right hair loss treatment can get back your self confidence.